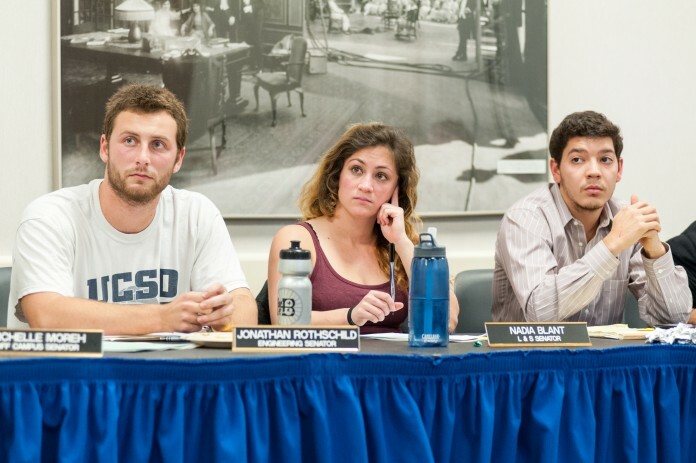 The Associated Students Senate tabled a Resolution to Divest from Gun Industries at their Wednesday, Nov. 19 meeting at the University of California, Santa Barbara. One of the main reasons behind the resolution is that it is a response to the tragic events of May 23. Bob Weiss, father of Veronica Weiss, was unable to attend the Nov. 19 meeting, though his statement regarding the resolution was read by UCSB student Sydney Chanu. “It’s frankly unimaginable that the Regents, the administration, seems to operate as a black box, and we have no information as to the extent to which we are invested in [these] extremely negative industries and endeavors,” said Campus Democrats President Krishna Hammond, in support of the resolution. The resolution was tabled for one week after a vote of 12-6-2. Senate also disapproved funding for student transportation to the Waka Flocka Flame concert on Saturday, Nov. 22. The concert was sponsored by the UCSB DJ Club, who requested $3,000 from the AS Finance and Business Committee in order to fund six buses which would transport students from Isla Vista to Earl Warren Showgrounds, the location of the concert, in order to prevent students from potentially driving while intoxicated. The DJ Club presented to the AS Finance and Business Committee on Oct. 27 to request funding. The DJ Club then informed the people who had already purchased their tickets that they would have transportation provided to them. However, on Nov. 16 the club was notified that their funding had been denied, due to the fact that they did not use AS Ticketing to sell the concert tickets. All clubs and organizations are required to attend a Financial Policies and Procedures Workshop before requesting funding from ASFB, which details the process for funding requests. Included in the information presented during the workshop is the requirement for clubs and organizations to use AS Ticketing when selling event tickets in order to receive funding for the event. Konn stated that though the DJ Club did attend this workshop, he did not remember this requirement. Several senators disagreed with approving the funding for the buses. Some senators were also hesitant to fund the buses due to the fear of being liable if something were to go wrong. There would be no monitoring of who would be getting on the buses, or if the passengers would be bringing alcohol or narcotics with them. The Senate discussed potentially using Office of Student Life Winter 2015 funds to pay for the buses, but after a vote of 8-10-2, the motion failed. As a result, the buses will cost $10 per ticket holder.